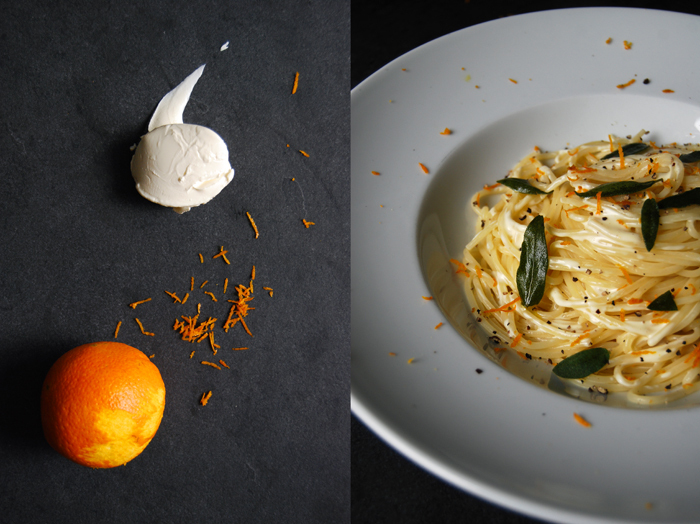 Creamy mascarpone, sweet oranges and woody sage! 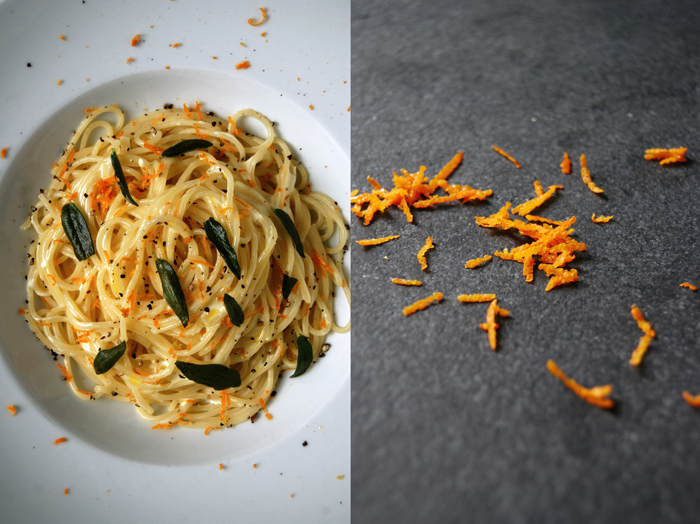 Here is a velvety variation on one of my beloved citrus and cheese pasta recipes which has been on the blog for quite a while. 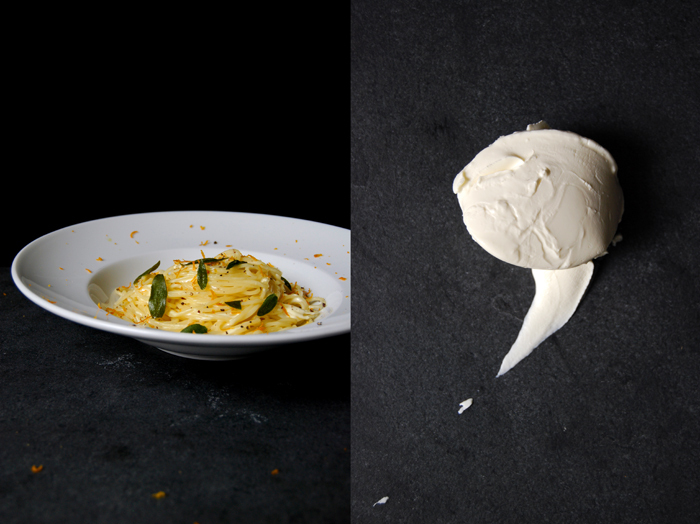 Almost ten months ago, I wrote about a dish which became our favourite midnight snack when we come home late at night and hungry, Maltese pasta mixed with fresh ricotta, lemon zest, basil and coarsely crushed black pepper. We were not the only ones who fell in love with this easy yet divine pasta classic which is inspired by the flavours of Malta. 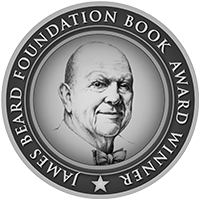 So many people wrote to me afterwards, some even on the same day I published it, that they tried and loved it just as much. The recipe today has the same potential for me, but it’s velvety and smooth, even a bit sweet. 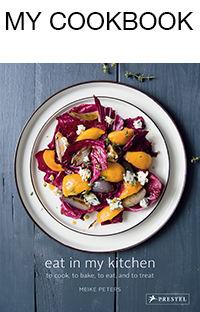 It works with similar ingredients and it’s definitely a candidate for spontaneous midnight dinners as well. You could replace the mascarpone with heavy cream if you don’t have the Italian cheese at hand but it won’t have the same silky texture and creamy taste which makes all the difference, but it’s an option. 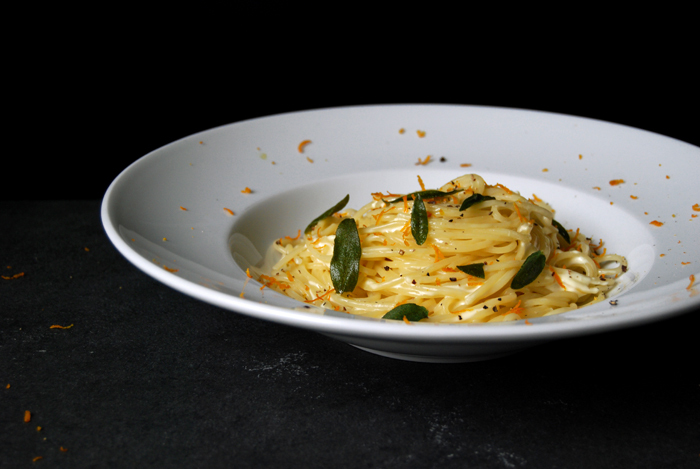 The sauce is very simple, I mixed the mascarpone with an egg yolk and some freshly squeezed orange juice before I mixed it into the warm spaghetti, refined with coarsely crushed black pepper, orange zest and fried sage leaves! Fry the sage leaves in a splash of olive oil on high temperature for only 10-20 seconds until they are golden. Whisk the mascarpone, egg yolk and orange juice and season with salt and juice to taste. 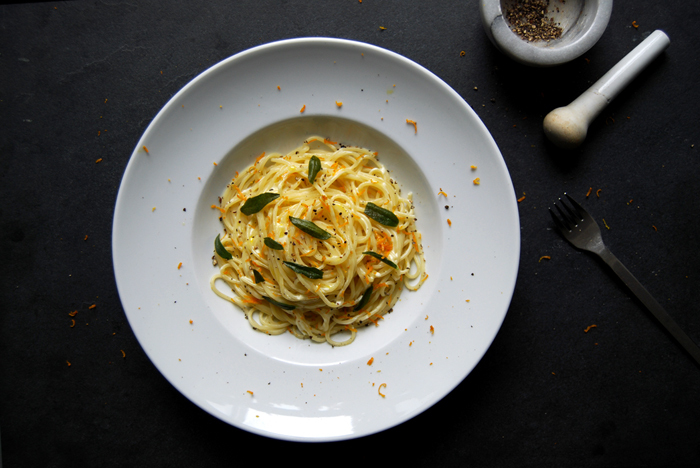 Mix the creamy sauce with the warm pasta, divide between the plates immediately and sprinkle with pepper, orange zest and the crisp sage leaves. again, you are teasing me with your passion for oranges and i love it. This sounds absolutely delicious…orange anything intrigues me. It is one of my favorite flavorings. I will be trying this recipe during the weekend, for sure. Thank you Marigene! I’m with you, I love citrus flavours in my cooking and baking! Enjoy the pasta!